Ashton & Old is one of Brisbane’s best cafes located in the suburb of Camp hill. Since 2012, Ashton & Old has consistently delivered amazing coffee, delicious food and impeccable service. 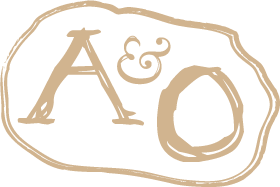 Whether its for a coffee on the run or brunch with the bestie, A & O will deliver perfection each and every time…. We like to reward our customers with a little something for their special day. Let us know when your birthday is and we’ll send you an email two weeks before with your gift attached.